Standard & Poor's lowered the credit rating for the faltering Daughters of Charity Health System in California by six notches, an unusually steep rating plunge that puts the organization at mid-speculative grade. The rating agency lowered the system to B- from BBB-. Daughters of Charity, a six-hospital system based in Los Altos Hills, Calif., is increasingly vulnerable as its operating losses accelerate and its cash reserves dwindle, S&P analysts said in a report. The rating's outlook is negative, which suggests the rating could fall further in the next year. Daughters of Charity did not respond to a request for comment at deadline. The lack of confidence from the ratings agency comes months after the system said it was looking for a buyer because its previously reported plans to be acquired by Ascension Health, the largest private U.S. not-for-profit health system, had collapsed. S&P analysts said the rating action was based on the system's deteriorating finances and the uncertain timing of finding a new buyer. St. Louis-based Ascension Health said at the time that the system opted not to acquire Daughters of Charity because it was unable to ink other deals in the area to establish a significant presence in the market. The system's revenue and patient volume have been declining since 2009, and excluding an infusion of $130 million from the system's foundation, Daughters of Charity hemorrhaged $92.8 million on operations during the last six months of 2013 on patient service revenue of $562.5 million, according to S&P and unaudited financial statements. 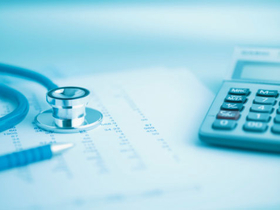 Losses during the second half of 2012 totaled $69.8 million on patient service revenue of $566.3 million. The system's 2012 decision to acquire physician groups added to its financial distress. The Daughters of Charity formed a medical foundation that year and acquired the San Jose Medical Group for $13 million. Its medical foundation has expanded to include 164 staff physicians and 28 clinics. “While this strategy is important from a physician alignment standpoint, it is typically a costly strategy for any provider,” analysts wrote in the report. Other pressures that have squeezed hospitals across the country—weak volume and smaller payment increases from insurers—compounded the strain on the Daughters of Charity's operations, said Ken Gacka, S&P's director of U.S. public finance, corporate and government ratings. The system's pensions, meanwhile, were only half-funded at the end of last year and would need $229 million to meet the obligation. Revenue from California's provider fee program will likely benefit the system, analysts noted, but not before the fiscal year ends on June 30. Meanwhile, the system's cash reserves, measures in the number of days reserves could finance operations, dropped to 36 days at the end of December. Analysts will watch to see how quickly the system finds one or more buyers for its assets, Gacka said. Daughters of Charity is in talks with buyers and has entered confidentiality agreements, according to S&P.